New York’s very own Flatbush Zombies released their second official video for the song “S.C.O.S.A.” The Zombies are a trio who have impressed me with their early releases thus far. 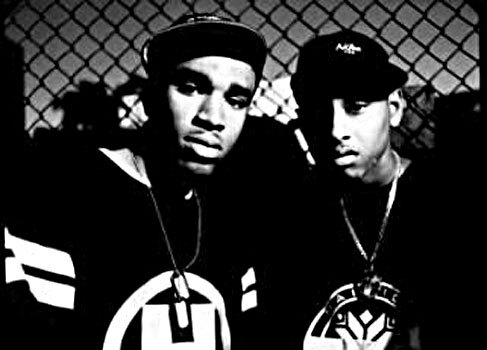 Take a look below for their first music video for “Thug Waffle”. Click here to download “Thug Waffle”. Nobody, I repeat, nobody has more swag than Theophilus London. The New York MC is doing big things, but is somehow still getting slept on by a majority of music fans. “I Stand Alone” is one of the singles off his latest album, Timez Are Weird These Days. Go purchase it. 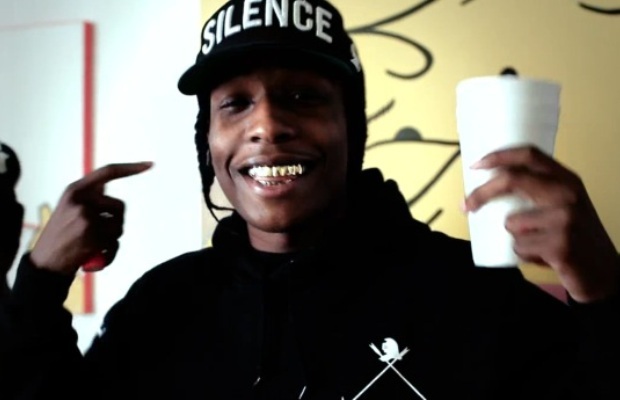 ASAP Rocky is a rapper from New York who has been creating some interesting buzz after his hit “Purple Swag” (video below) off of the mixtape Deep Purple (download here). Today I bring you what sounds like the sequel to “Purple Swag”, a song titled “Peso”. Click here to download “Peso”. Something a lot of so-called “die-hard” baseball fans don’t pay enough attention to is prospects. Every team has a farm system, and that farm system is about as vital as its players on the everyday squad. Teams like the Tampa Bay Rays have spent years at the bottom of the standings in order to build a great farm system. Look where they’re at now: contending in baseball’s toughest division, the AL East. Believe it or not, teams like the Yankees and Red Sox, who seem like they buy every player on the free agent market, also have built their dynasties through the farm system. The Red Sox couldn’t have won their World Series in 2007 without acquiring ace Josh Beckett for then-prospect Hanley Ramirez. The point is, prospects can either blossom into superstars, or you can trade potential to a willing buyer for experience. Here are my top 5 young players (not named Bryce Harper) that are destined for stardom at the major league level. Can Jennings fill the void left by new new Red Sox acquisition Carl Crawford? Judging by his skills, Jennings is more than ready to fill it. Drafted all the way in the 10th round in 2006, Jennings has worked his way up the totem pole to be one of the Rays’ best prospects. Jennings’ most impressive skill right now is his speed. In Tripe-A ball last year, Jennings swiped 37 bases in 109 games, getting caught stealing only 4 times (a 90% success rate). He is no slouch defensively either. His speed enables him to get to almost every ball hit in his direction, just like Crawford. At the plate Jennings shows decent plate discipline, generating 47 walks in 458 plate appearances. His bat also shows great contact, hitting about .300 in 5 seasons in the minors. Jennings’ power is up in the air, as he does not hit many over the fence. However, Carl Crawford didn’t hit 15 home runs until his third season in the majors, so power is not out of the question for Jennings. Right now the only thing in Jennings’ way is the Rays’ management. In the off-season, the Rays signed outfielder Johnny Damon to a one year deal, pushing Jennings back on the depth charts. Damon is 37 years old, so one small leg injury to old man Johnny could pave much playing time for Jennings. Look for him to be an everyday starter by next season. Will Ichiro finally get some help and turn his constant 200+ hit seasons into run production? 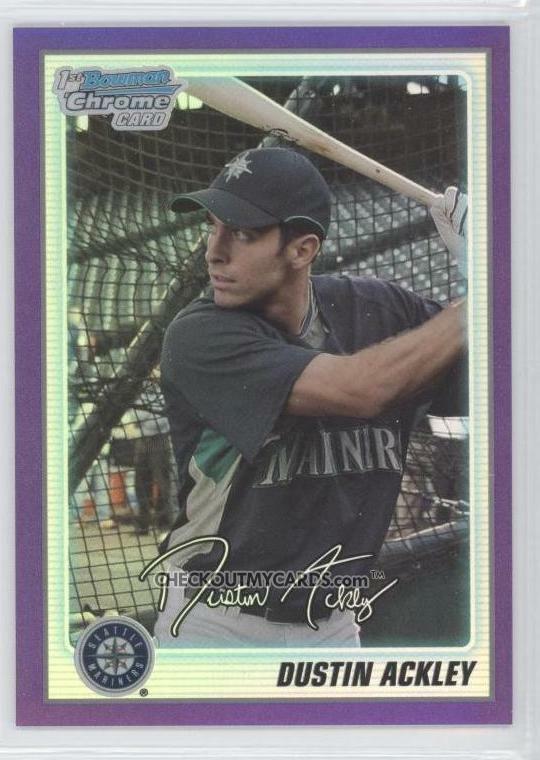 Offensively gifted Justin Smoak looks nice, but the real savior of the organization is looking like Dustin Ackley. Ackley is one of the University of North Carolina’s most heralded baseball players ever. He was taken number two overall in the 2009 draft by Seattle after becoming the leader in average, hits, runs and total bases at UNC. After splitting time at Double-A and Triple-A, Ackley struggled at the plate, batting only .267 with 7 home runs. He did, however, put up a solid .368 OBP with an impressive 79:74 strikeout-to-walk ratio, which shows a lot about his plate discipline. Ackley seemed to pick it up this fall though, hitting .424 with 5 long balls in only 20 games in the Arizona Fall League. His defense is nothing to write home about. I would say his defense is average at best. Expect Ackley to play see significant time this season and be an everyday player next season. To say the Rays have a pool of future stars in their system is an understatement. Hellickson is yet another prize in the organization ready to explode on the MLB scene. After going an astounding 49-16 in his six seasons in the minors, Hellickson has already made an impact at the major league level. 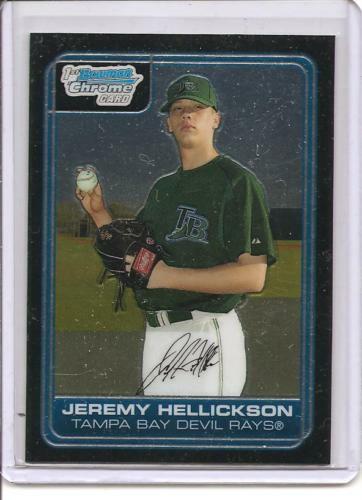 In four stars for the Rays last year, Hellickson went a perfect 4-0, striking out 33 batters in 36 innings. There is no reason to doubt the Rays dealing pitcher Matt Garza to the Cubs due to Hellickson’s maturity. He will be in the rotation opening day, and should be able to produce anywhere between 11-15 wins in his first full season. Signed by the Yankees at only 16, Montero has proved his potential for the Bronx Bombers. A big, stocky catcher, Montero is not the best defensively. Montero’s size limits his quickness in blocking wild pitches and his arm is not the strongest nor the most accurate. The Yankees may try and move him either to 1B or DH eventually. If he does indeed decide to play catcher, he has Jorge Posada and Russ Martin to learn from. Not a bad pair, eh? Suffice to say, he does his best work at the plate as opposed to behind the plate, showing power and hitting for contact at the ripe age of 21. 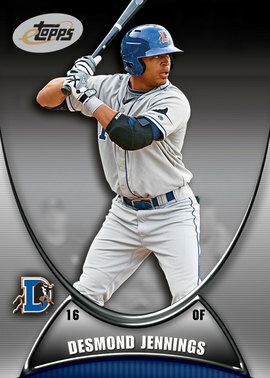 At Triple-A, Montero hit .289 (a minor-league low for him), but had a .353 OBP and hit 21 homers. Remember, he was only 20 years old. With Jorge Posada aging fast, Montero is destined to beat him for the starting job extremely soon. Montero should average above .300 and hit 20-35 homers consistently throughout his career if he pans out. 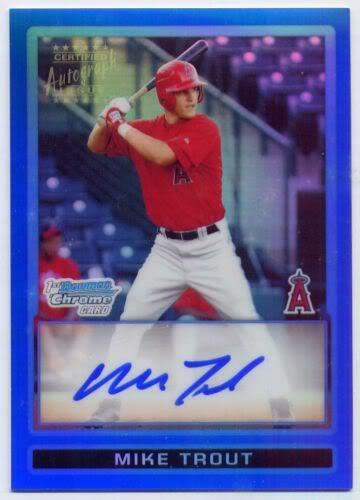 Mike Trout is the epitome of a five-tool (average, power, speed, throwing and defense) baseball player. 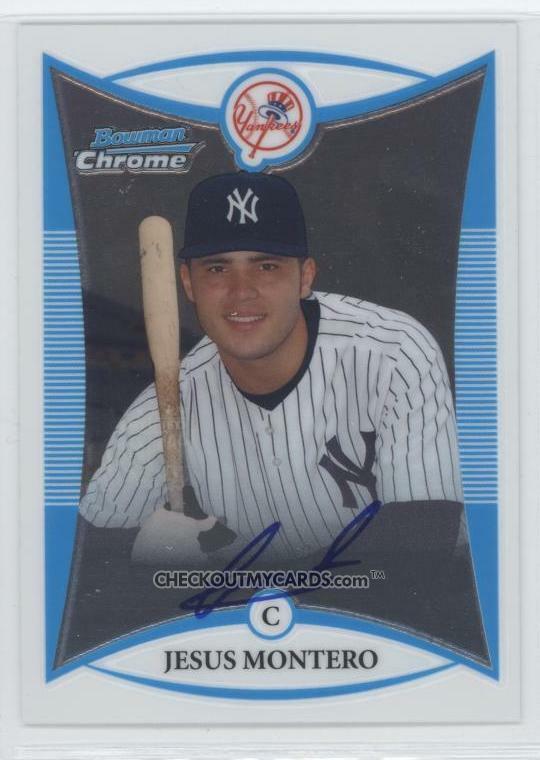 How this guy fell all the way to 25th overall in 2009 still befuddles me. At only 19, Trout is already making it hard on GMs to keep him in the minors. In his two seasons at low A and high A ball, Trout has already amassed a .344 average, 69 stolen bases, 83 RBI and 11 home runs. His discipline at the plate could use a little help, since he struck out 119 times, but Trout still draws a ton of walks: 95 of them in about 800 plate appearances. Trout’s defense is just as impressive as his bat. He supposedly has a 90 MPH fastball, coming from his pitching days in high school. His speed allows him to get to any ball, and I imagine he could throw with the best of them. Although Washington Nationals’ phenom Bryce Harper gets the attention and press, Trout is just about as skilled. Trout is 1b to Harpers’s 1a in terms of potential at the major league level. Trout will likely start this season at Double-A and may be quickly promoted if he continues his tear in the minors. The Angels won’t rush him into the majors just yet, considering the acquisition of outfielder Vernon Wells. MLB Comparison: Mickey Mantle?, realistically Jason Heyward, Ken Griffey Jr.